April 02, 2014, 3:32 p.m.
Do Nigel Farage&apos;s supporters share his admiration for Vladimir Putin? In the first debate between Nigel Farage and Nick Clegg, one of the main stories to emerge was Mr Farage&apos;s notably staunch stance on the Ukrainian question. In an interview published over the weekend, the UKIP leader expressed further admiration for Russia&apos;s president: when asked "Which current leader do you most admire? 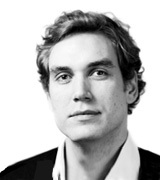 ", he replied, "As an operator, but not as a human being, I would say Putin." 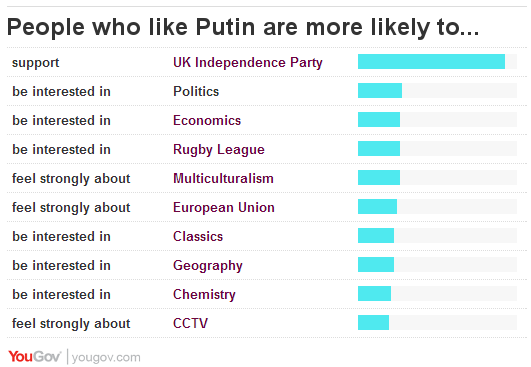 We took it upon ourselves to investigate how many of Mr Farage&apos;s supporters share his admiration: are UKIP supporters generally fans of Vladimir Putin? First to the YouGov website, where members of our 400,000 strong UK panel are able to rate and give their opinions on thousands of celebrities, brands, books, issues and much more. Panel members are not paid to take part, and while some members choose to contribute thousands of ratings and opinions, others do nothing at all. It&apos;s a fascinating data source for observing correlations between things. Of the 482 self-declared Putin fans, only 24 had volunteered an enthusiasm for the Conservative Party, 29 for the Labour Party and 94 for UKIP. To make sure we ticked all the methodological boxes, we also conducted a full nationally representative opinion poll and asked people to say whether they respected a long list of world leaders. 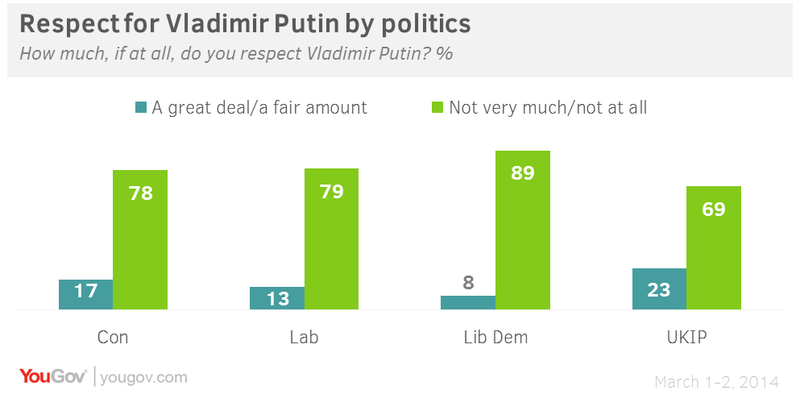 In total, 23% of UKIP voters express &apos;a great deal&apos; or &apos;a fair amount&apos; of respect for Vladimir Putin, which is more than Conservative voters (17%), Labour voters (13%) or Lib Dem voters (8%). But evidently it is still a minority: over half of UKIP supporters express respect for Barack Obama, for example. 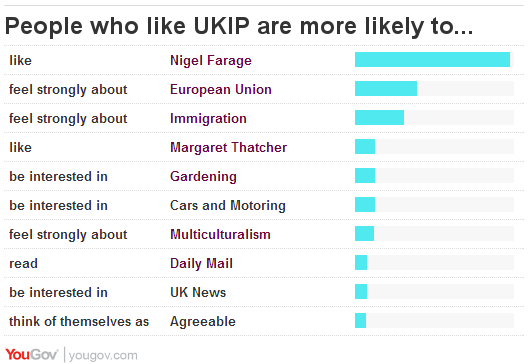 This combined method, looking at the more vocal &apos;die hard&apos; fans compared to a representative sample of the general population, teaches us a lot about the nature of UKIP&apos;s supporter base. While the extreme conservatism, nationalism and anti-European posturing of the Russian President appeals to UKIP hardliners, most of the party&apos;s support comes from mainstream disaffected voters who are more likely to show enthusiasm for Maggie Thatcher or tending the plants in the garden.